Intensely remembered and evocatively told, this is the story of the year Mary Ellen Jordan spent living and working in Maningrida, an Aboriginal community in Australia's Far North. This place used to be called Mang djang karirra: the place where the Dreaming changed shape. And then the Balandas arrived, pale people from different places with tongues that couldn't make the right sounds, and these words became Maningrida. Now it is the place where the Dreaming mutates, might wither and die, might implode or explode or combust. This is unlike anywhere else I've ever been. Mary Ellen Jordan left her Melbourne city life to spend fourteen months in Maningrida, a coastal community in Arnhem Land. She made the journey expecting to work alongside the local Aboriginal people, with good intentions and thinking she'd be of some use. But nothing, it turned out, would be that simple. 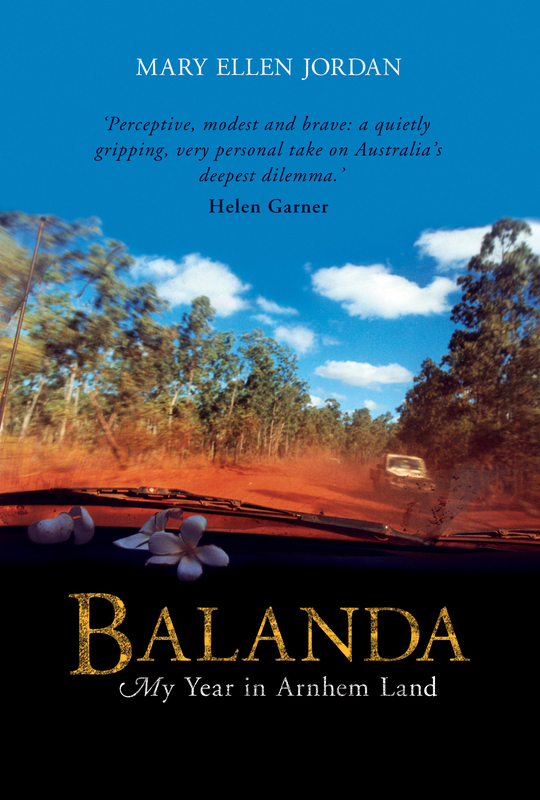 Staring across the sharp social and cultural divide between the two races, Jordan would struggle to learn what it was to be a Balanda in Maningrida a place that would challenge her perceptions of race, culture, political correctness, art, language, and whiteness. This is a moving story told with both boldness and a lightness of touch by a talented new voice in Australian writing. Mary Ellen Jordan is a writer, reviewer and editor whose work has been published widely in Australia, including in Peter Craven's Best Australian Essays 2001. Balanda is her first book.